CEU is committed to attracting talented students from around the world. 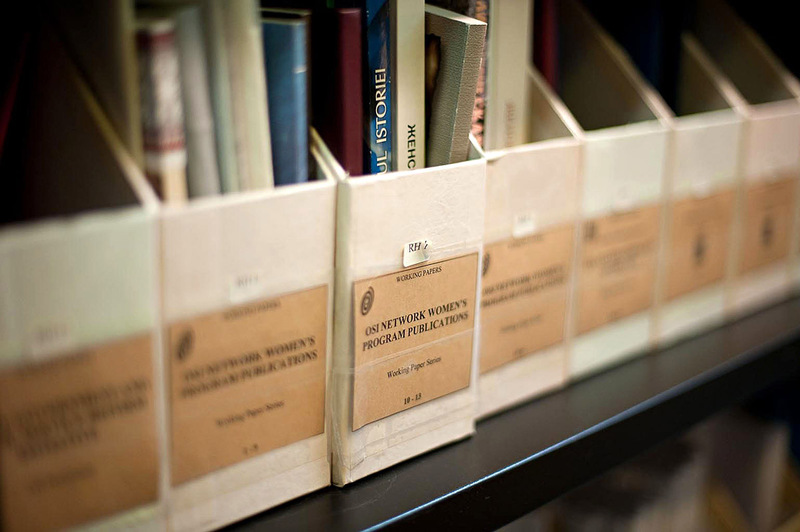 The University offers a range of scholarship, fellowship, and loan options for students studying in the School of Public Policy (SPP) and encourages students to seek external sources of funding. Granted on the basis of both academic merit and financial need, CEU scholarships and tuition awards are available for most of our programs. Please make sure to check your future program's website before you start your application. Remember to apply by the financial aid application deadline and fill out the Funding section of the Online Application Form so we can consider you for financial aid. Please make a responsible assessment of your financial situation before applying and also look for alternative sources of support, such as foundation grants, employer support or state scholarships. Applications for admission to our master's programs by self-funding students continue to be accepted after the deadline for master's students seeking financial aid. For Mundus MAPP candidates no separate scholarship application is necessary; applicants who submit their applications by the relevant deadline will be automatically considered for financial aid. Doctoral candidates applying for the Public Policy Track of the PhD in Political Science by the relevant application deadline are automatically considered for the CEU Doctoral Scholarship. Available financial aid range from tuition awards to scholarships with stipends and housing as well as some regional scholarships. Learn more at this link. For citizens of Azerbaijan, Belarus, Cambodia, Democratic Republic of Congo, Egypt, Equatorial Guinea, Eritrea, Ethiopia, Laos, Libya, Myanmar/Burma, Republic of Congo, South Sudan, Sudan, Syria, Turkmenistan, and Uzbekistan. Provide stipends to assist with the cost of living expenses in Budapest, up to EUR €1,000 and EUR €2,000 per academic year. For citizens of any Latin American or Caribbean country. For residents or nationals of any country/state in the Middle East. For applicants who demonstrate a strong commitment to debate. For citizens of Albania, Bulgaria, Former Yugoslav Republic of Macedonia, Greece, and Kosovo. For citizens of Cambodia, Laos, Malaysia, Thailand, and Vietnam. For students interested in pursuing studies on religion-related themes. Applicants for this program may be eligible for the following financial aid packages. Learn more at this link. For a Roma student of any citizenship. For one student in the CEU-IBEI track: a CEU Master’s Scholarship for year 1 at CEU combined with a 50% tuition waiver for year 2 at IBEI. For one person in the CEU-YORK track: a CEU Master’s Scholarship for year 1 at CEU combined with a full tuition waiver for year 2 at YORK. For one person in the ISS-IBEI track: a 50% tuition waiver for both academic years. For one person in the ISS-YORK track: A 50% tuition waiver for year 1 at ISS combined with a full tuition waiver for year 2 at YORK. For information on the scholarship application deadline and eligibility for scholarships please visit the Financial Aid section of the Mundus MAPP website. Covers the full cost of tuition and health insurance, and includes a monthly stipend that covers housing and living costs. In order to help students finance the cost of tuition to the two-year MPA program, CEU offers a limited number of loans to qualified students who are not eligible to receive U.S. federal loans or Canada Student Loans. For more information about CEU student loans please inquire with sppadmissions@ceu.edu. For U.S. citizens or permanent residents, visit Federal Direct Student Loans to learn more. For citizens of Afghanistan, Bangladesh, Canada, Egypt, France, India, Madagascar, Mozambique, Kenya, Kyrgyzstan, Pakistan, Portugal, Syria, Tajikistan, Tanzania, Uganda, United Kingdom, and United States. For eligibility requirements, please refer to each scholarship listed on the AIFS website. For students of Armenian descent. For women of Armenian descent. For citizens and permanent residents of the Czech Republic. For women from developing countries. For graduate students committed to the field of peace education and conflict management. For U.S. veterans and their dependents. For students with a degree in theology from a New Zealand university. For North American students with Jewish heritage. For citizens from developing countries. For eligibility requirements, please refer to each grant listed on the Leverhulme Trust website. For citizens of developing countries excluding OFID member countries (Algeria, Ecuador, Gabon, Indonesia, Iran, Iraq, Kuwait, Libya, Nigeria, Qatar, Saudi Arabia, United Arab Emirates, and Venezuela). For individuals of Roma descent. For individuals from countries with Rotary clubs. For citizens of Albania, Armenia, Azerbaijan, Belarus, Bosnia and Herzegovina, Czech Republic, Georgia, Hungary, Kosovo‚ Macedonia, Moldova, Montenegro, Poland, Russia, Serbia, Slovakia, and Ukraine.